Your journey with the artist begins here. 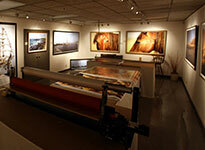 Come visit Bradley Nordlof’s latest photography excursions and see a vast collection of fine prints displayed for your viewing in the artist’s studio located in Rockford, Illinois. 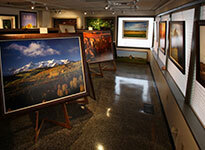 We are one of the few true fine art galleries in the country to display world-class, full size panoramic and landscape imagery. 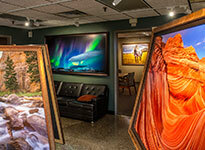 Here you will experience first hand the color, impact, and creativity of these unusually large photo murals that have gained Bradley Nordlof a reputation as one of the most exciting fine art photographers of nature and panoramic scenes in the world today. 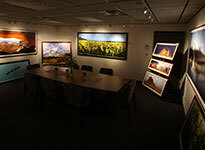 BRADLEY NORDLOF FINE ART PHOTOGRAPHY STUDIO is a fully equipped, active studio facility with the artist routinely producing custom prints and framing on-premise. The studio may be contacted Monday through Friday, 10:00 a.m. until 6:00 p.m. Private showings are easily arranged. Come in and experience the difference! To make an appointment, please call 815.494.1134.